An influential group of Gateshead supporters have given their “unequivocal support” to the club’s players and staff as the crisis at the International Stadium rumbles on. A statement was released on behalf of the Heed squad and club employees on Tuesday morning after they revealed that they were yet to receive their wages for the month of March. 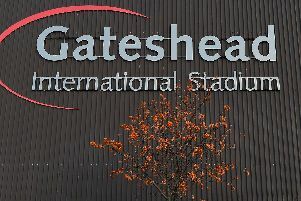 The Gateshead Soul Independent Supporters Association released a statement of their own on Tuesday afternoon as they hit out at club owner Dr Ranjan Varghese and controversial financial advisor Joe Cala. The statement read “We acknowledge and fully support the statement released by the players and staff of Gateshead FC on Tuesday morning. “We share their concerns and would like to add the statement background to the situation we find ourselves in. “We fully support the staff and players for the financial uncertainties they have endured. “In our eyes, they are all heroes for carrying out their duties under such challenging circumstances. “We will continue to give them our full and unequivocal support, no matter what the future may hold. “Our concerns are over the mismanagement of the club by Joe Cala, a gentleman that as far as the league were concerned was only there to act as a financial advisor. “These concerns have been going on for some time. It is just under a month since the Gateshead Soul group was officially formed and they have played a part in trying to find a new owner for Gateshead. Association chairman Bernard McWilliams has worked alongside the club’s general manager Alisha Henry to help identify former Rochdale chairman Chris Dunphy as their favoured bidder for the club. Dunphy was at the International Stadium last week to thrash out a deal with Cala and that deal was agreed in principle on Friday afternoon. The statement confirmed the situation surrounding the potential takeover and the events that culminating in Dunphy’s approach to the club. It continued “Our first open meeting culminated in the plan to hold a demonstration following our home game against Barnet on the 9th March. “Our Chairman Bernard McWilliams was contacted by the club’s Press Officer Dominic Scurr on behalf of Joe Cala to ask if he would cancel this demonstration. 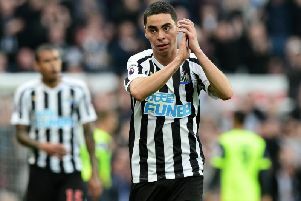 “After a frank and open face-to-face discussion between Bernard and Joe Cala, in the presence of Dominic and general manager Alisha Henry, it was agreed that the Club would go up for sale for £1 and that the Supporters Association would work with the club to find a buyer. “This process was rather exhaustive with the main problem of getting accurate figures from the club via Joe, as his figures seemed rather fanciful. “There was also grave concern of pending winding-up orders from HMRC in excess of £20k, the prospect of outstanding court summons for unpaid debts, and also demands from GMBC for missed payments that had originally been agreed. “Finally we also had serious concerns of the staff wages being paid late and erratically. “Things finally came to a head last Monday when Bernard McWilliams approached Joe, as it seemed as though he was being obstructive to allow prospective buyers to see the accounts via their chartered accountant. “This was resolved and an agreement put in place for one buyer, Chris Dunphy to get his accountant to confirm the financial situation with the club’s accountant. “At this meeting last Wednesday 27th March, the figures had been pulled together showing all the outstanding debt from suppliers, HMRC, wages and some informal loans. “These figures were initially disputed by Joe, even though they were provided by the club’s accountant. “Joe later confirmed these were indeed correct after he spoke to the club’s accountant privately. “Things progressed last week with a meeting with Gateshead Council (GMBC) confirming arrangements would be sorted by Friday, so the club to catch up with missed payments. “The Council agreed to return on the following Friday to either receive a payment or to carry out its threat to remove the club from the Stadium premises. “Friday came and, as funds were not available, the Council did indeed carry out its threat to remove the club, but they also made assurances that the remaining four games will be allowed to be played so the Club could carry out its commitment to the league. “On Friday afternoon, a meeting between Chris Dunphy, Bill Goodwin and Joe Cala ended with Chris and Bill agreeing to buy the club for £1, and therefore accept the responsibility of handling any outstanding debt that may be left. “It was agreed for Chris Dunphy to send Dr Ranjan Varghese initial contracts to confirm this so he could carry out final due diligence for the takeover to be completed. “We believe this was emailed to Dr Varghese on Saturday. “The league was informed of the situation and as Chris Dunphy and Bill Goodwin are considered as fit and proper persons in the eyes of the FA for their involvement with Rochdale, they could see no problems for the transfer to take place and it could happen quite quickly. “Following the above, we have it on good authority that Joe Cala is saying to all who will listen that a deal wasn’t done when that is not the case. “He is saying that Chris and Bill do not have the funds to run a club, which is incorrect, especially considering they have league approval. “Finally, as said to Joe last Thursday by Bernard McWilliams on behalf of Gateshead supporters, we have done what has been asked. “We have found a buyer who is prepared to take on the debt and pay the sum of £1 to do so as originally asked by the Club. “The supporters back this bid 100% and do not want to get involved with anyone else. “We have also conveyed all of the above direct to Dr Ranjan Varghese and asked him to directly confirm the principle of the sale is agreed. The statement ended with the club’s supporters asking Varghese and Cala to live up to their agreement with Dunphy and Goodwin and warned that a protest would take place after Saturday’s home game against Ebbsfleet United if no progress is made. “To that end, we have a Fans Meeting planned for Thursday 4th April, 7.00pm at Pelaw Social Club. “The Item for discussion is how we organise a protest following the game on Saturday. “As previous all our efforts will be used to make this protest as peaceful as possible, we know that this will no doubt be a bigger protest than the original one planned after the Barnet Game on the 9th March. “Supporters emotions are running high because of what is happening at our club, especially with the turn of events in the last 7 days. “All we ask is clarification that as agreed last Friday, the agreed sale of the club to Chris Dunphy and Bill Goodwin will be completed in due course.